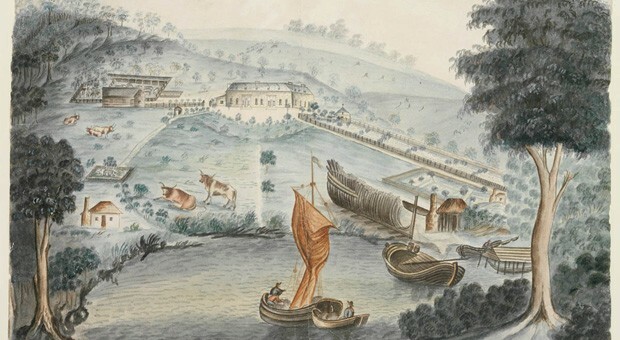 Known for being able to straddle both black and white societies, King Bungaree was from the Garigal clan at Broken Bay and moved to the Sydney area. He was a diplomat, mediating between his own people and the government, and was an entertainer who impersonated the governors and other local figures. Bungaree was also an explorer, sailing with Matthew Flinders on his voyage around Australia in 1801 and with Phillip Parker King on the ‘Mermaid’ in 1818. Although he often played the fool, Bungaree was an intelligent man who used his skills to get what he wanted. 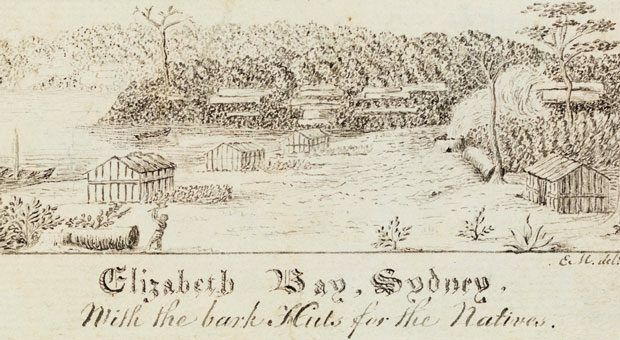 Governor Macquarie, whom Bungaree befriended, built huts for him and his family (twice) at Georges Head opposite the entrance of Port Jackson. 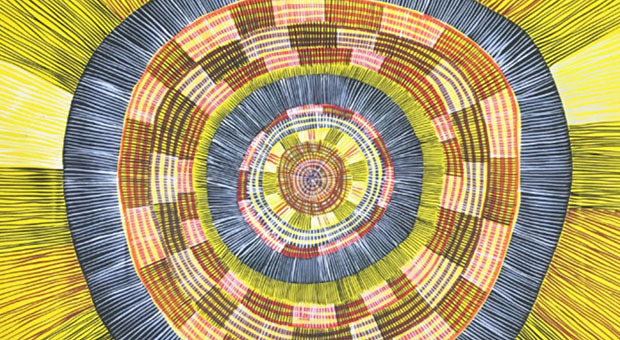 Bungaree was helpful to settlers by tracking escaped convicts, but he was also influential within his own Aboriginal community taking part in corroborees and ritual battles He also looked after the welfare of his family and community by selling or bartering fish. Bungaree was one of the most discussed Aboriginal people of the early 19th century in NSW, and was often sketched or painted. He was the first Aboriginal person to be appointed a chief by Governor Lachlan Macquarie and the first to be given a metal gorget bearing his name and title. He was often referred to as ‘King Bungaree’, ‘King of Port Jackson’, ‘King of the Blacks’, or ‘Chief of the Broken Bay Tribe’. A lithograph by William Henry Fernybrough at the State Library of NSW shows Bungaree cavorting in a soldier’s uniform. 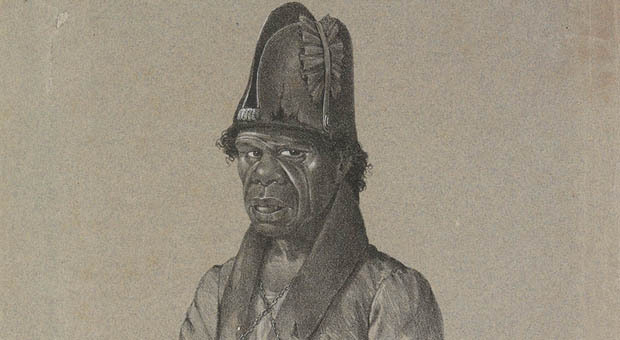 A lithograph by Charles Rodius shows the brass breastplate worn by Bungaree. Beginning with Governor Macquarie in 1816, breastplates were issued annually to reward loyalty and foster co-operation between the newly-arrived Europeans and the Indigenous inhabitants of Sydney. 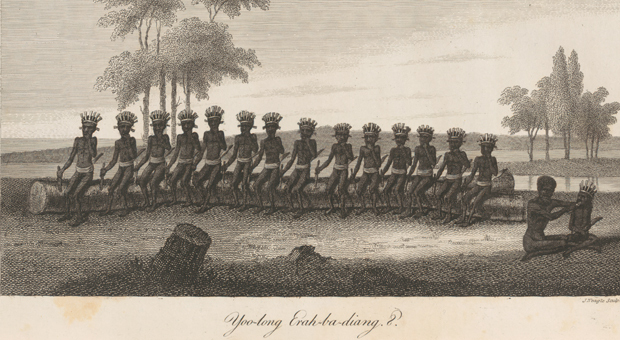 Bearing false titles such as ‘King’, ‘Queen’ and ‘Prince’, they demonstrated British ignorance of Aboriginal customs and often alienated and ridiculed the wearer. The practice was discontinued by Governor Darling in 1830. The Powerhouse Museum has a small collection of these engraved Aboriginal breastplates.